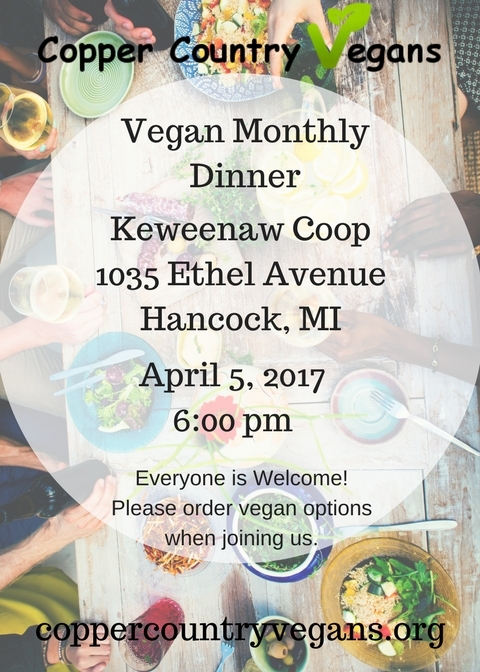 We will be having the April monthly dinner Wednesday, April 5th at the Keweenaw Coop in Hancock. We’re changing up the week due to the film showing on April 12th. You can order items at their Deli and there will be seating available upstairs. The Coop asks if we could please park on the street rather than the lot. We look forward to seeing you there!